The Missoula KPI Mini Storage self storage facility, features a state of the art security system designed to help keep your goods safe & secure. KPI Mini Storage is locally owned and operated; we care about you, your belongings and the great city of Missoula. We are conveniently located on Mullan Road about 7 minutes west of Reserve street. At KPI storage, we are very concerned with your safety and the security of your possessions. Your goods are protected by our state of the art security system which features an electronic gate, cameras and software to monitor the coming and going of everyone on the property, 24 hours a day, 7 days a week. The keypad controlled electronic gate allows you access anytime, day or night while keeping your valuable items secure. You Can Access Your Goods 7 Days a Week, 24 Hours a Day At Our Secure Facility. KPI Mini Storage is your one stop shop for moving and storage. Whether you're tackling your first move or the tenth, U-Haul has the Right Equipment at the Lowest Cost for whatever your moving needs are. 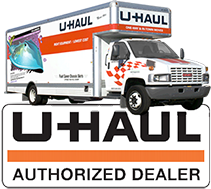 U-Haul has the largest selection of new trucks specifically designed for your upcoming household move. Take Mullan Road off of Reserve Street and travel west 3.5 miles. We're just across the street from The Ranch Club Golf Course. Rent now, download paperwork HERE. or EMAIL US. © 2017 KPI Storage. All rights reserved.